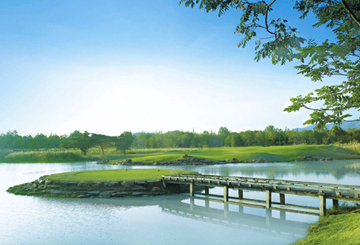 The Imperial Lake View Golf Club is one of the largest in the area, featuring four courses and a total of 36 holes set among fruit orchids and meticulously maintained greens. 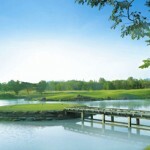 While the original 18 holes are set within striking nature with mature trees, streams and lakes dividing the fairways, the layouts offer golf pleasure for advanced and amateur golfers alike. Geared towards lower handicapped golfers, the desert course requires skillful planning while the Lake View links course presents itself very open, reminiscent of the Scottish links courses. Practice areas include a grass driving range and short game practice area while the clubhouse features a restaurant, Spa and swimming pool. There is a golf resort for those wanting to stay and enjoy several days of continuous golfing.